The S/S 19 runways presented a pick ’n’ mix of fashion trends to suit every sartorial appetite. From romantic princess dresses to ’80s power shoulders, colorful prints to sophisticated beige, chic minimalism to even more maximalism, the trends held statements of femininity, female empowerment, and choice. Not surprisingly, over here at Who What Wear HQ, a handful of these trends are already catching fire faster than a run in your stockings. You know something has taken off when your whole team (make that, office) is donning iterations of the same trend. Just look last years $30 leopard-print skirt our entire office was obsessed with. So amid the myriad of styles, what are the spring pieces that are buzzing among our editors? Read on to take a peek at the trends our Who What Wear team unanimously agrees are going to be a huge hit for the season ahead and shop them before everyone else does. A continuation of last season's trend, croc-embossed accessories have major staying power into spring. From handbags to shoes, the textured-croc effect adds a luxurious touch to every outfit. 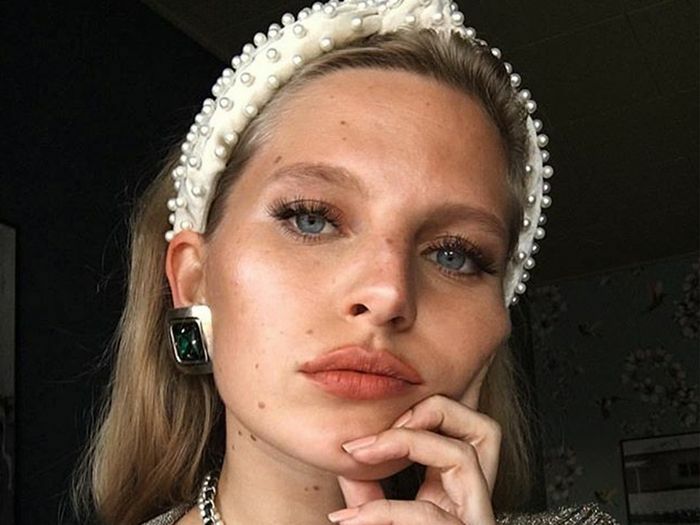 From large ’60s-inspired satin headbands at Prada to jeweled beauties at Saint Laurent, headbands are making a welcome comeback and have been spotted all over Instagram (and our office). The subtle and sophisticated latte hue unexpectedly dominated spring fashion week. From sand and tan to camel and cream, wear the beige color palette from head to toe, as seen at Max Mara, Tom Ford, and Fendi. Whether tied around a messy ponytail, draped over the shoulder, or embellished on your shoes, bows both large and small are becoming our favorite new accent. The vintage-inspired handbag has been seen hanging around the elbows of some of our favorite fashion muses this season. It unquestionably adds instant polish to every outfit. Expect to see the royal-approved trend gracing your feeds this spring. Pearl jewelry had a major moment on the spring runways. Think modern geometric pearl earrings and stacked rings of all shapes and sizes. The Who What Wear team is also loving the trend on clothing, too, as seen on some of our favorite fashion influencers. Up next, the denim trends our readers are wearing right now.